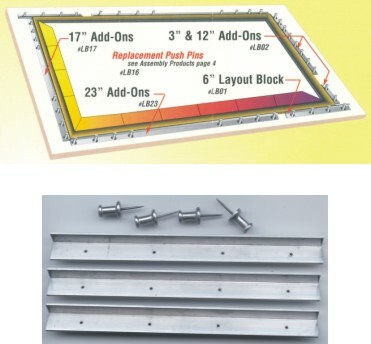 MORTON LAYOUT BLOCKS ADD-ONS 23"
This Add-on set make the basic system more flexible and increase the capacity of the basic system. This set contains two 23” blocks and 16 pushpins. 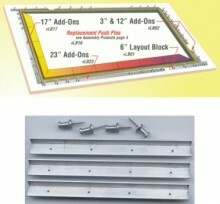 MORTON LAYOUT BLOCK ADD-ONS 12"
MORTON LAYOUT BLOCKS ADD-ONS 17"
Click the button below to add the MORTON LAYOUT BLOCKS ADD-ONS 23" to your wish list.